For the most part, celebrities are people whose faces you’d recognize anywhere. However, there are a few celebs that earn a lot of cash without their face ever being known. Usually, these are voice actors for animated films and series like Geoff Ramsey. Ramsey, whose voiced popular characters throughout his career, has made quite a name for himself but what is Geoff Ramsey’s net worth? Before getting to know his finances, you should get to know the man. 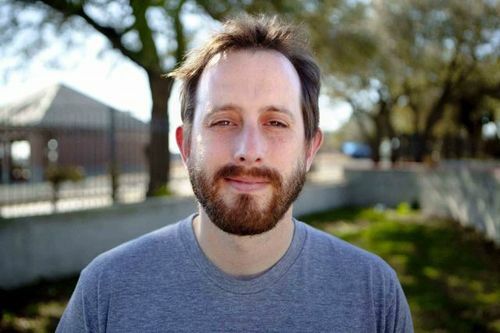 Geoff Ramsey is a Southern man, born in Mobile, Alabama, and he has remained in the South, even in his adult life. Currently, he resides in Austin, Texas. Before graduating high school he enlisted in the United States Army. He was in the Army from 1993 until 1998. After finishing his service, Ramsey became a photojournalist based in Kuwait. It wasn’t until five years later, in 2003, that he got his start doing what most people know him for now: voice acting. In 2003 Ramsey co-founded a production company called Rooster Teeth. Eventually, the production company began to provide him with endless sources of revenue. One of the first stabs Ramsey took at voice acting was with Rooster Teeth. He voiced the character Dexter Grif on the web series “Red vs. Blue,” a science fiction comedy. Ramsey turned into an internet star almost overnight. Video conferences, animation conferences, and people all around the world wanted to meet Ramsey and hear what he had to say. In 2008, he launched Achievement Hunter, a web series about video game achievements, which has been wildly successful as well. Voice acting with Rooster Teeth, and his work on Achievement Hunter, also landed Ramsey a few high-profile gigs, including a job voicing a marine in “Halo 3” and Grif in “Halo 4.” He’s also been asked to appear as himself in animations as well as voice numerous other characters. So, what has all of that done for his wealth? It is estimated that Geoff Ramsey’s net worth comes in around $3 million. While that may not seem like much, Ramsey has had a wildly successful career and continues to ensure that he will have a steady cash flow. For instance, when his voice acting slowed down he launched Achievement Hunter. The web series will allow for Ramsey to continue making money well after he is no longer a sought-after voice actor. Another thing to keep in mind when it comes to Ramsey’s net worth is that he is the co-founder of Rooster Teeth. Much of his career has been spent doing production work, all of which has made him some serious cash. He has also appeared in a number of other web series, not to mention his big-ticket voice acting gigs with the “Halo” franchise. It is safe to say that Ramsey’s once-booming career has slowed down a bit, however, don’t be surprised if you see his net worth stay steady. While he’s not getting a ton of new work, he is continuing to work with his production company and his other various business ventures. You’re not done hearing from Geoff Ramsey! Have someone you’d like us to cover? Let us know!